This handsome volume brings together an impressive array of scholars, who analyze an outstanding private collection of 175 Old Master drawings that date from the 16th through the 18th centuries. The collection vibrantly revealed here includes a wide variety of drawings - from sketches and figure drawings to copies after masters and preliminary studies for major compositions - and features the work of many important Italian artists, including Raphael, Andrea del Sarto, Baccio Bandinelli, Pontormo, Perino del Vaga, Gian Lorenzo Bernini, Salvator Rosa, Guercino, and Giovanni Battista Tiepolo, among many others. Each work is reproduced and accompanied by complete documentation: physical description, provenance, bibliography, and exhibition history, as well as background information on the subjects captured in the drawings. 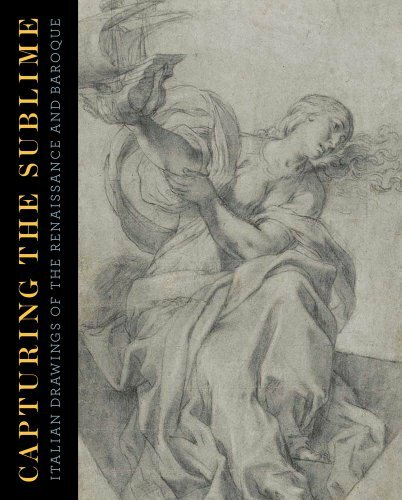 "Capturing the Sublime" opens up the beauty of these drawings to a broader public and provides important new attributions and scholarship. Suzanne Folds McCullagh is the Anne Vogt Fuller and Marion Titus Searle Curator of Earlier Prints and Drawings at the Art Institute of Chicago. Katie Tierney Powell is a research associate in the Department of Prints and Drawings at the Art Institute of Chicago.